Are you getting married in the fall? 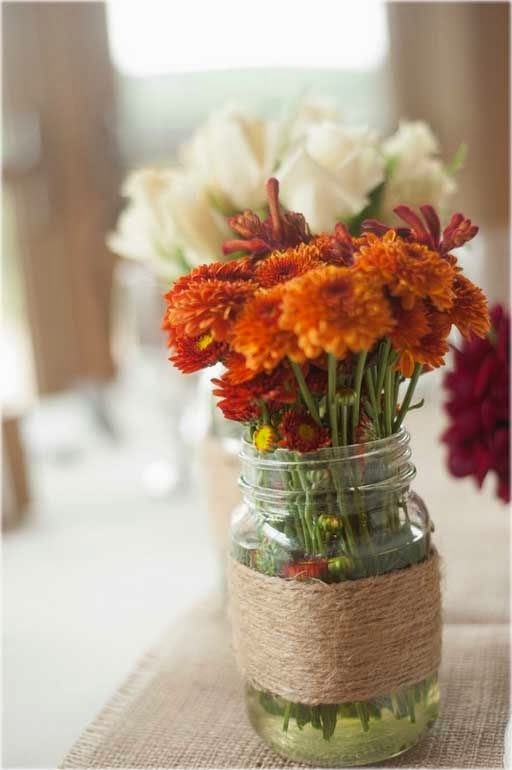 Are you looking for some fabulous autumn wedding ideas? Keep on reading for ideas for the perfect autumn wedding. 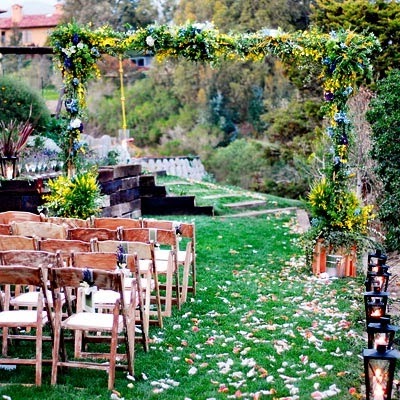 Depending on where you are located you might want to choose to have an outdoor wedding. Of course you are going to need to use a little common sense to decide whether or not the weather will support this decision. But if you do decide to get married in the early autumn and the weather will cooperate, getting married outside will make for a beautiful wedding, not to mention, stunning wedding photography. Use the beauty of the season to your advantage. The colors of the fall are wonderful. Get married or take photos near trees with changing colors or in a garden with colorful flowers. Use props like pumpkins and cornucopia to add a little something extra to your photos of the atsmosphere of your wedding. 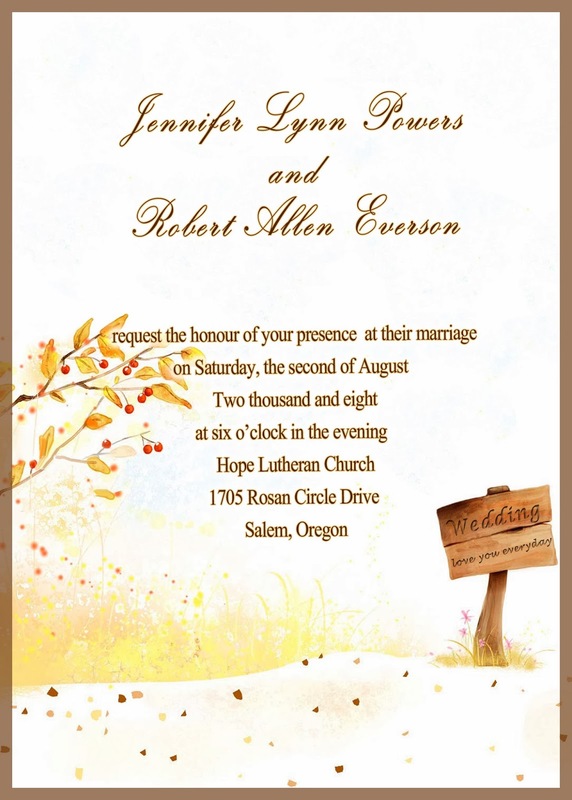 Let everyone know that you are celebrating the autumn season in your wedding by choosing season appropriate stationery. 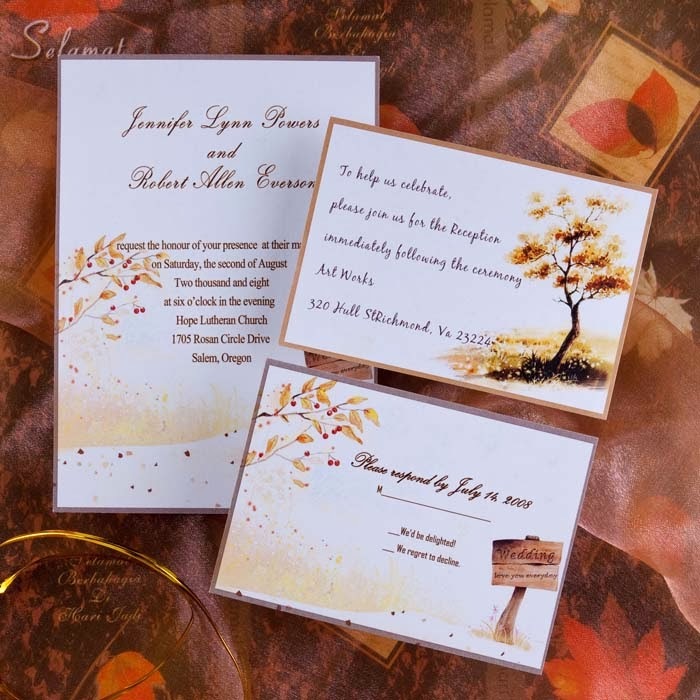 You can go all out and choose invitations and stationery decorated with pumpkins and leaves or you can be a little more subtle and just use colors that reflect the season for the invitation colors, printing or envelopes. Some great colors include dark yellow, orange, cooper, brown and red. 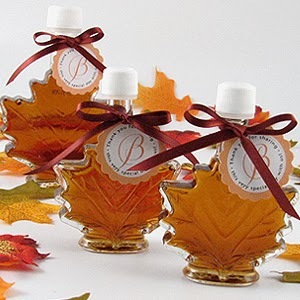 If you have a strong autumn wedding theme you are going to want to continue it through your wedding favors. There are many ways you can do this. You can go the DIY route and make your own favors. 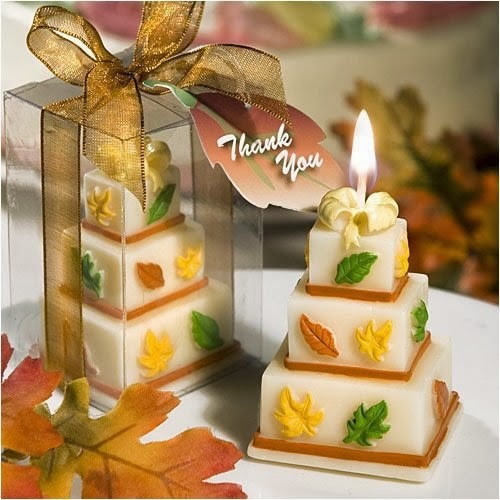 You can buy fall themed wedding favor boxes and give out candy or even put nuts and pumpkin seeds inside. You can also choose to buy wedding favors. Again you can select them by color, which allows you to choose whatever you want but still adding some seasonal flavor. Or you can give scented candle (like pumpkin spice), or give out magnets, mints or other fun things which can show pumpkins or leaves as decorations. 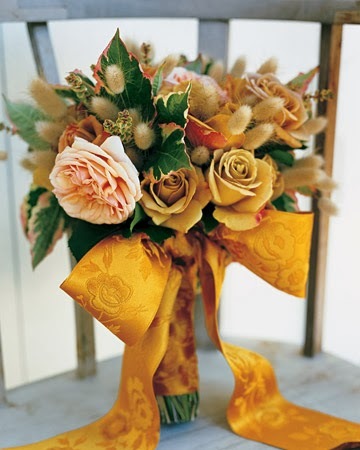 Remember your wedding colors when planning for your wedding bouquets, centerpieces, and arrangements. Roses come in multiple colors and can be mixed with other flowers. Some nice choices are sunflowers and calla lilies. 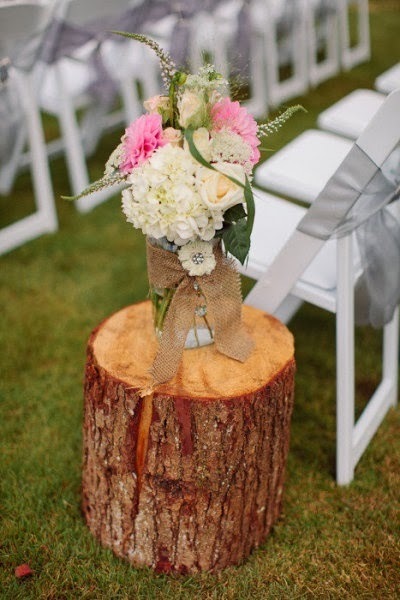 There are many different ways to add the beauty of the season into your wedding. You can either choose to go all out and decorate with the sights of the season, or you can choose to just add a few elements here and there.